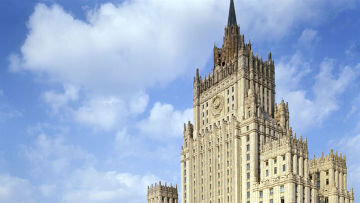 Russia calls shenanigans on Magnitsky list and vows to react | Russian Legal Information Agency (RAPSI). Tags: Blacklist, Legislation, Foreign Ministry, Sergei Magnitsky, Russia, U.S.
MOSCOW, November 19 - RAPSI. The Magnitsky list is just for show and will have no practical effect on the visa regime between Russia and the United States, Mikhail Margelov, chairman of the Federation Council's International Affairs Committee, said. Margelov added that Russia will clearly respond to the list accordingly. He also expressed the hope that the European Union will not follow the United States' example and will not impose sanctions against Russian officials on the Magnitsky's list, despite the European Parliament's recommendation. Last Friday, an overwhelming majority of US House representatives voted in favor of passing the "Magnitsky Act", punishing Russian officials deemed to have violated human rights. The same bill also lifted the Jackson-Vanik amendment, a landmark Cold War-era law that has long impeded normal US-Russia trade relations. The new legislation will serve to deny visas to Russian officials suspected of involvement in the death of whistleblowing lawyer Sergei Magnitsky in a Moscow jail three years ago, and will freeze their assets. The measures will also allow the United States to take similar action in the future against other Russian officials suspected of human rights violations. The bill passed on Friday in the House will now go to the Senate, where it is also expected to be approved, before being sent to President Barack Obama for signing. Obama opposed linking the Magnitsky Act with the normalizing of trade regulations with Russia, but is expected to sign the legislation into law. 11:45 19/11/2012 The Magnitsky list is just for show and will have no practical effect on the visa regime between Russia and the United States, Mikhail Margelov, chairman of the Federation Council's International Affairs Committee, said.